On the first, eleventh, and twenty first of each month I begin a Novena. 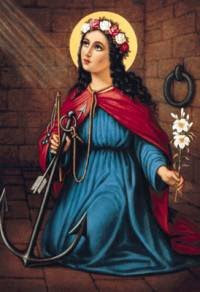 Today I started a Novena to St. Philomena. Won't you join me? O God, Most Holy Trinity, we thank Thee for the graces Thou didst bestow upon the Blessed Virgin Mary, and upon Thy handmaid Philomena, through whose intercession we implore Thy Mercy. Though not of your faith, I think this seems like a wonderful practice. Thank you for sharing it.